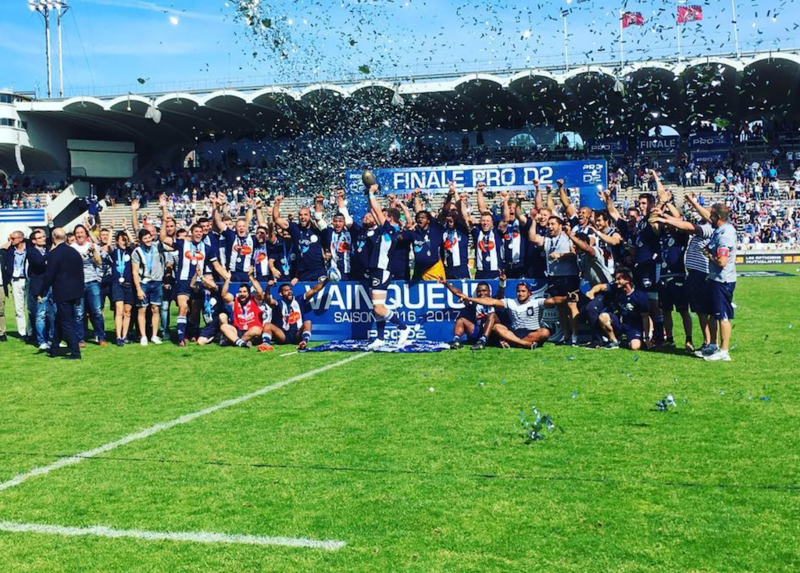 Agen have been promoted to the Top 14 after they comfortably beat Montauban 41-20 in Sunday’s play-off final at Stade Chaban Delmas. Tries from Clément Darbo, Thomas Murday, Taylor Paris, Filipo Nakosi and Pierre Fouyssac secured the win, with Darbo kicking 16 points. Agen put themselves in a commanding position at the half-time break as they were 24-13 up thanks to tries from Darbo, Murday and Paris. Darbo also kicked seven points while Waisele Seru Sukanaveita crossed for Montauban, with Jerome Bosviel slotting eight points off the tee. There was no further addition to the scores after 19 minutes of the second-half until a Darbo penalty. And when Nakosi crossed for a try three minutes later that made it 34-13 to Agen as they held a handsome 21-point lead, which allowed their supporters to begin the celebrations. Agen replacement Fouyssac’s converted try followed soon after to make it 41-13 and it was victory and a place in the top flight secured, with Taleta Tupuola’s late crossing for Montauban coming only as a consolation as they now must prepare for another season in the Pro D2.